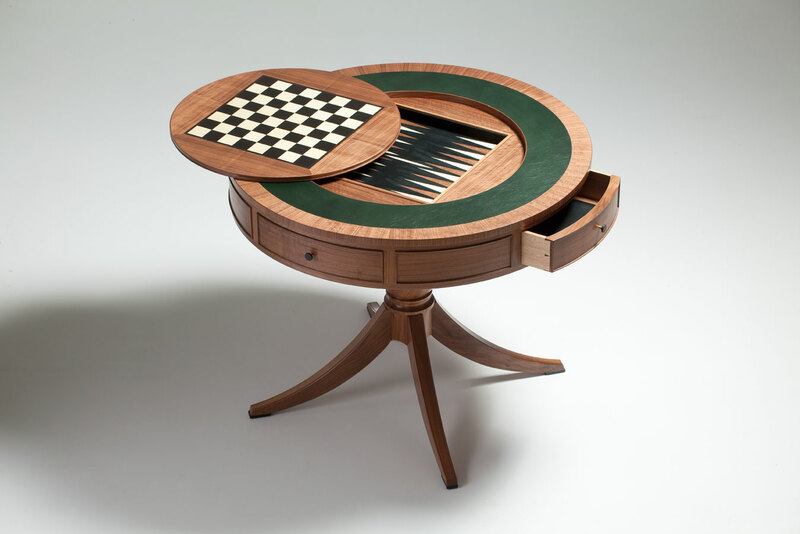 Uniquely designed for playing Chess, Backgammon or cards depending on the top’s configuration. 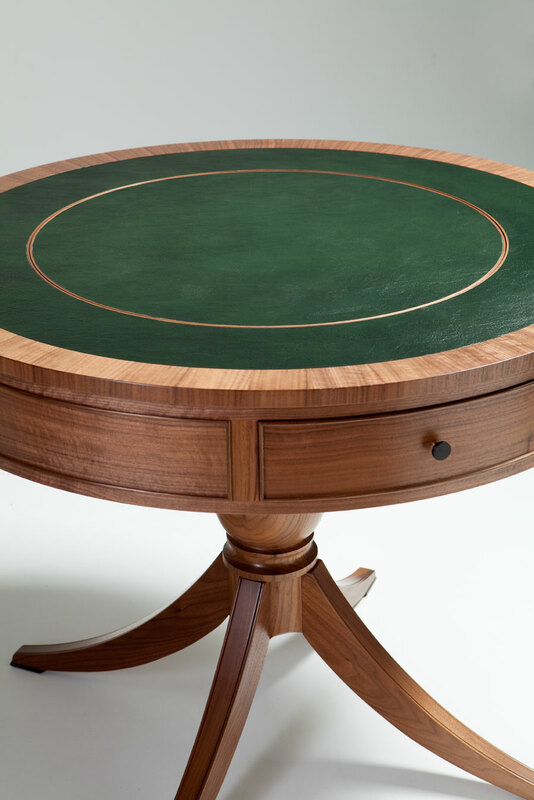 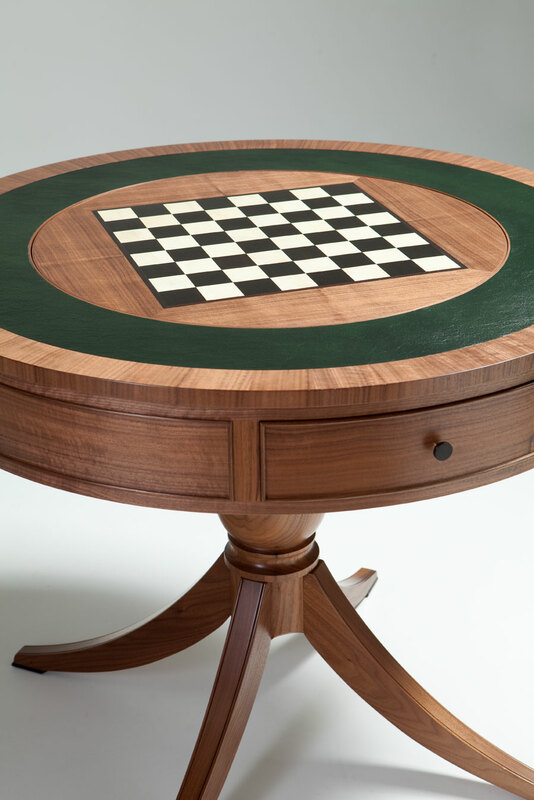 Tasmanian cheesewood, Ancient redgum and Figured Walnut veneers were carefully cut and inlayed into this traditionally inspired games table. 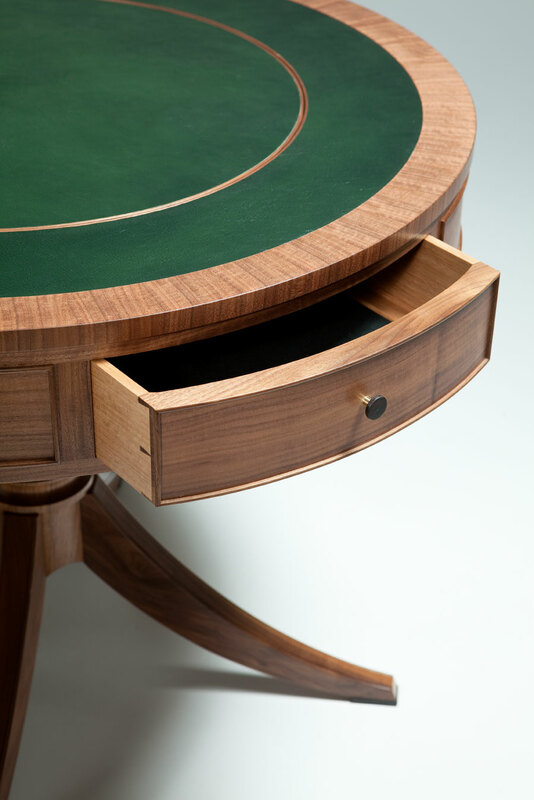 The drawers feature hand cut dovetails and draw slips which are lined with black macro suede.